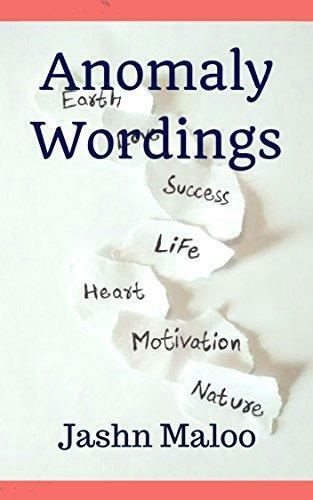 A collection of Few Poems created by a teen age boy showing the thinking, struggle and nature of human's life and our mother earth. So much relatable poems which can easily felt on heart. Created with passion, inspired from William Shakespeare, Robert Frost and Rabindranath Tagore, these poems may touch your heart directly and when touched, you can easily feel what's there in life. 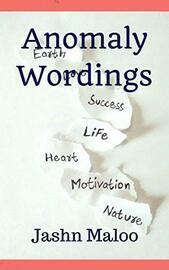 Created with simple words, some are of free verse and no rhyme while some are easy to remember, easy to rhyme. Some poems are made to criticize depression, negativity, suicides and other non-human activities like wars and terror. Must read to do something great to fight these with peace. A small tribute to all the greatest poets ever lived, without them people will not be able to connect them with this literature world. Welcome to Anomaly Wordings, some relatable, touching, motivating poems made by heart's talks with pure heart and gentle mind in the presence of nature to avoid suicides, Negativity. While nature's love is eternal, when we keep our attachment strong with mother Earth, we find ourselves surrounded by nature's love despite of wars and hatred.